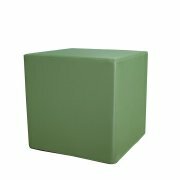 Blox Soft Seating adds contemporary cushy comfort to your library, lounge or classroom. 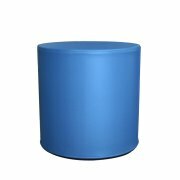 The vibrant shapes provide a cool alternative to classic school seating options. 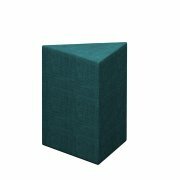 Fully-upholstered covers, with a zipper for easy removal and cleaning, protect the high-density foam interior. This simple, yet inviting design will give your space a whole new vibe. 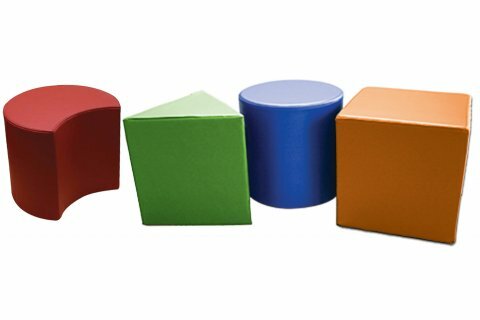 With a selection of shapes to choose from, this soft seating allows each student to find their ideal configuration. They can be used in individual workspaces, or even combined into collaborative clusters. The engaging and inviting hues create a positive vibe in any learning space. With lots of great shapes and colors, you can coordinate with any space, theme and color scheme. In Shape: Comes in a selection of fun shapes. Low Maintenance: One-piece upholstery has a 3mm black coil zipper, which allows for easy removing and cleaning. 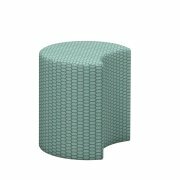 Cushy Material: High-density foam offers comfortable support and buoyancy. Attractive Choices: Comes in a selection of vibrant colors. Call us about our huge selection of additional upholstery choices.